July was a busy and active month, so much that I missed last weeks #UntamedStyle linkup. I truly apologize for skipping a week. I had no intentions of missing a weekly linkup, but sometimes life just gets in the way. July was a month filled with vacations, birthday celebrations, family beach days and so much more. I love having many events and activities to do, however it can wear you out. Last week I was just exhausted, stressed, unmotivated and no outfit pictures to share. So once again forgive me for the lack of post and missing the linkup. August looks to be just as busy, however I plan to be more prepared and organized to continue the weekly linkup. 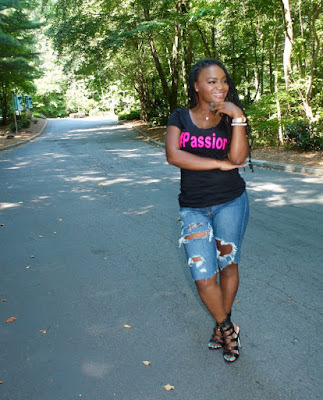 I am truly enjoying reading all the blogs linking up and choosing 5 bloggers to feature each week. 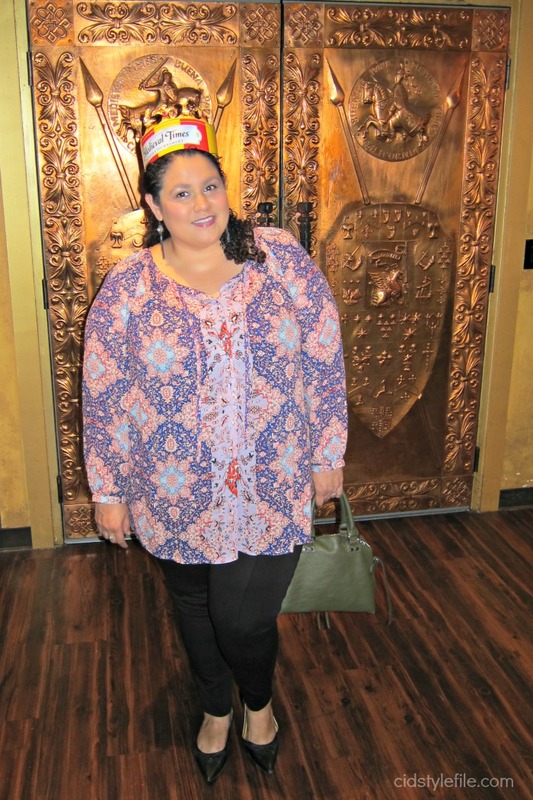 Lets get this week started and share my latest outfit from my date night at Medieval Times in Buena Park. 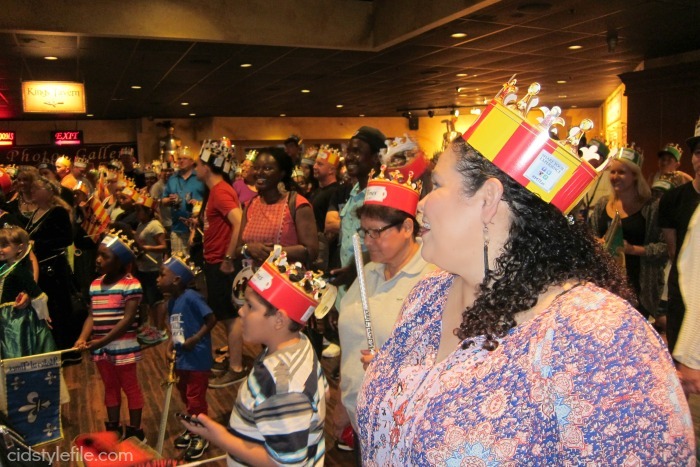 This week my boo and I had a date night at Medieval Times Dinner and Tournament. I had tickets from my prize package I won last year and they were about to expire. I couldn't let the tickets go to waste, so we decided to make it a date night. I know it sounds cheesy, and we are not the type to do cheesy romantic kinda things. This time I wanted to be a little corny and have a date night, so I made the reservations at Medieval Times. OK I know date night isn't cheesy, but we are not the kinda of couple who schedule "date nights" and make a big deal about going out. This time however I thought it would be fun, have a night out and enjoy some "quality time" together. It's been several years since my last visit to Medieval Times. I didn't even know what to expect, and was pleasantly surprised. The night turned out to be fun, dinner was good and had some laughs. Overall it was a successful date night with my boo. Not sure if there is a dress code at Medieval Times. I didn't even bother to check, but I figured its summer time and there will be lots of tourists. Didn't want to go too fancy and be over dressed, but didn't want to be typical and show up in shorts and tee either. Decided to go some where in between too fancy and too casual. I had this new Lucky Brand blouse hanging in the closet and though it would be perfect for the occasion. I've always been a fan of Lucky Brand, love the jewelry, shoes and bags. 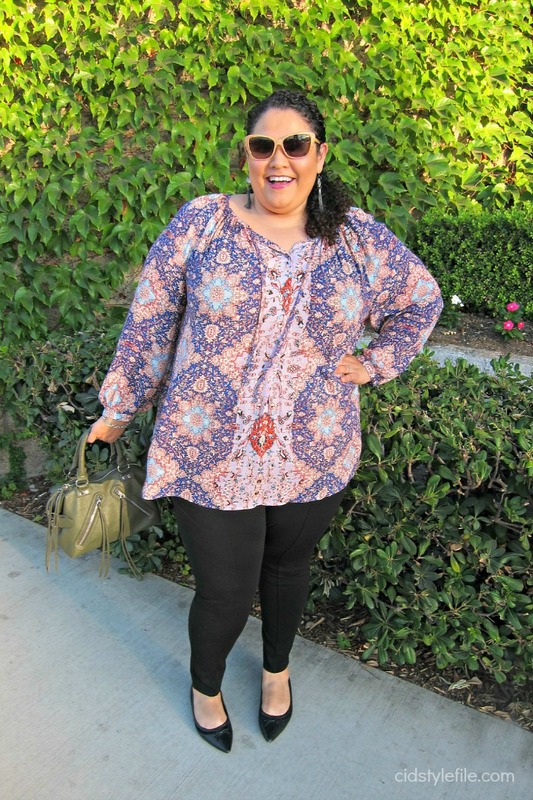 Since they introduced a plus size line a few years ago, I've been coveting several of their pieces. As you know I am a bargain shopper and the retail prices for Lucky Brand are a bit higher than I would normally pay. This blouse had a retail price tag of $99! Yikes! I would never pay $100 for a blouse, but you know me and my bargain hunting. I scored this baby at TJ Maxx on clearance for only $15! Yup, that's more like it! 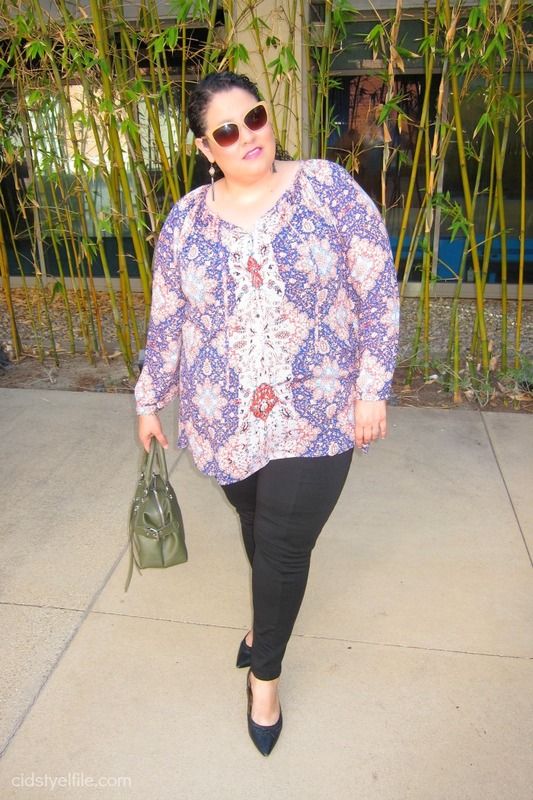 I really love the style and print on this blouse, it gives me just the right amount of color. As I have mentioned before I am not a fan of wearing bright colors, but I do love a good print. I added a pair of skinny Ponte pants and pointy toe flats to complete the outfit. By the way don't you just LOVE Ponte pants! So comfy, so durable and better than plain old leggings! Any how back to our regularly scheduled outfit. The best accessory of all was my crown from Medieval Times. Every one gets one upon entry and that will determine the section where you will be seated and the knight you will cheer for. We got the red and yellow knight, he wasn't the best and lost the joust, oh well! I still looked cute in my crown, don't you think? Do you schedule "date" nights with your spouse/partner? 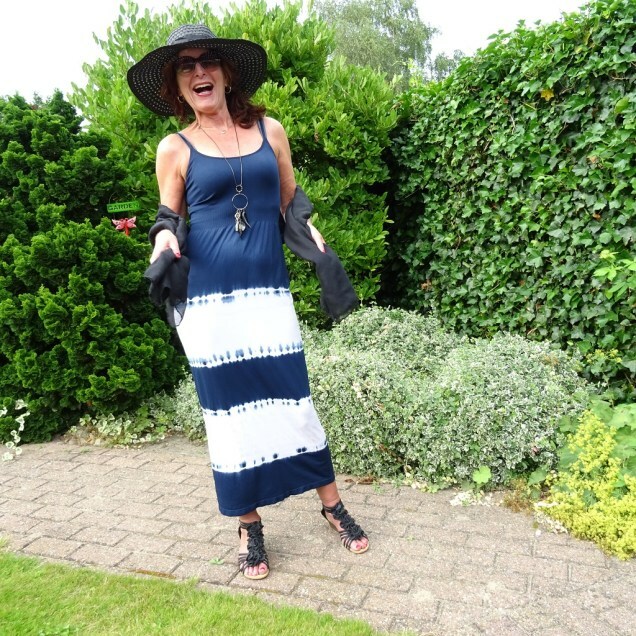 Thanks to everyone who linked up last week, I do enjoy reading your blog post and seeing all the fabulous outfits. Now time to share my 5 favorite links from last week. 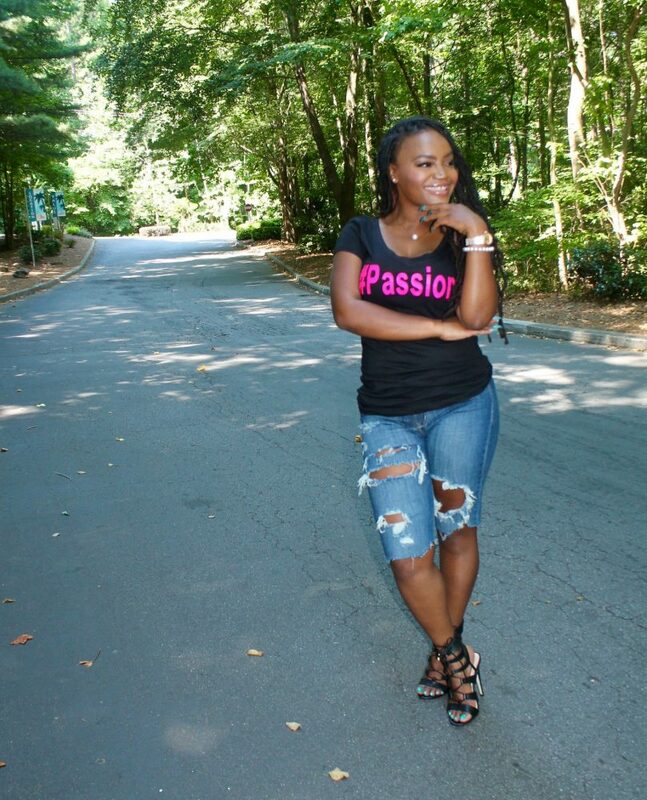 Thanks to all the bloggers who have joined and return each week to join #UntamedStyle Linkup. Remember to follow me on social media and share with your other blogger buddies to come link up every Friday with #UntamedStyle. Also please make sure you visit these ladies and show them some blog love. Sharing is caring and just a click means so much to us bloggers! I think having a time for just you guys is fabulous---whether it has a name or not, it still is a great time!! This shirt is perfect---it's fun and modern!! The crown is definitely the best accessory---did you get to keep it? You could paint it silver and have it for other days? Ha ha! You look amazing in this blouse. It was a good find, Tk Maxx is great. How fun! And a great look! Did I miss the link up ... geez, I swear I have a bad case of back-to-school-teacher-brain. Sorry! 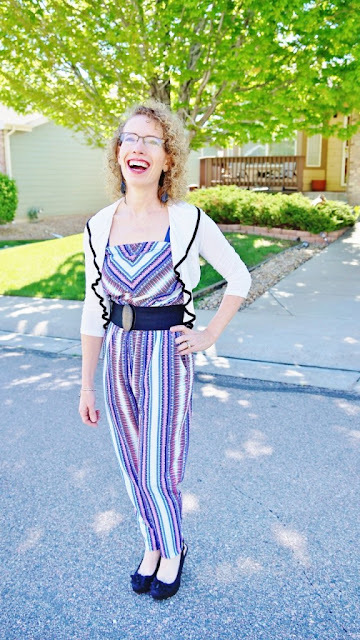 Thank you for hosting and sharing on Fancy Friday linkup! 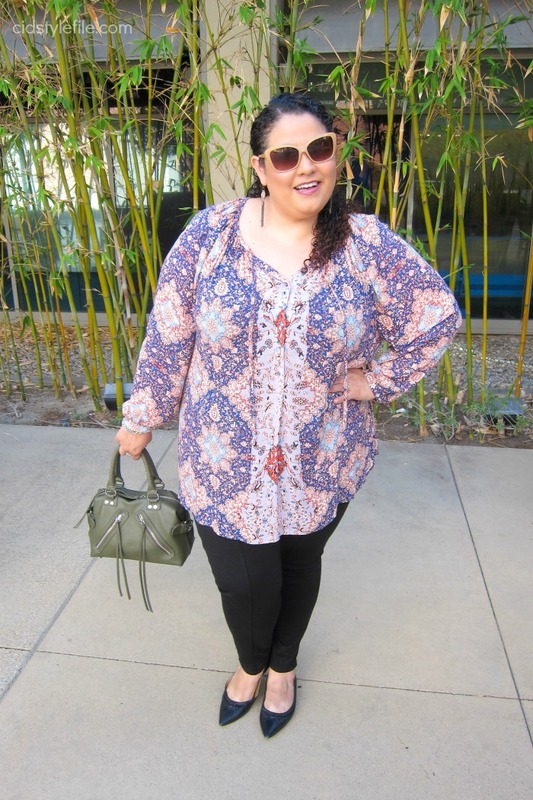 That blouse is such a great find! Love the print! Perfect date night look! We were planning to go there last week because of a special we saw, it looks like a fun date night! Beautiful tunic! Nice colors and the print. This outfit looks so comfy and perfect for any date night! Sounds like a fun date night! Your tunic is very pretty and looks great with your ponte pants and flats. Ponte pants are a very nice step up from leggings and so comfy. Your outfit looks perfect for date night. 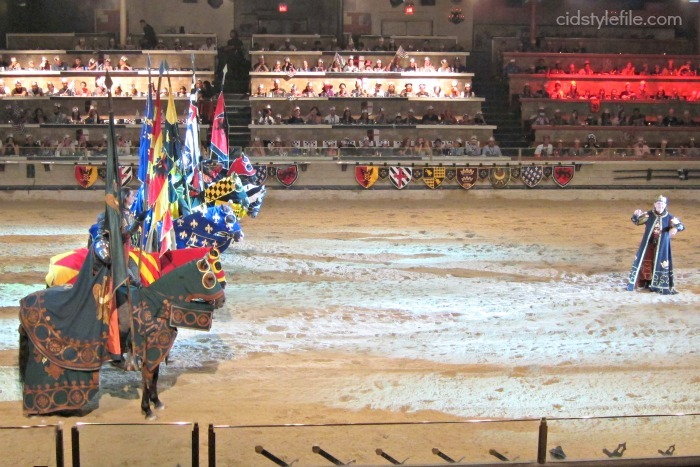 I've been to Medieval Times and it is such a fun way to spend an evening. Thanks for sharing the fun and your post on my Fine-Whatever link up. I try do a date night 1x a month just us since we do many family date nights. Catching up on my #FridayFrivolity reading... love your date night outfit! You look awesome. :) Pinning and tweeting! Love the top, the pattern is so cute!